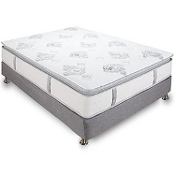 10-Inch Classic Ventilated Memory Foam Mattress combines breathable memory foam with a support layer to create a comfortable sleep experience. 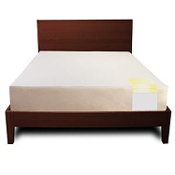 The memory foam mattress includes a knit cover that is soft and silky to the touch. 12-Inch Classic Ventilated Memory Foam Mattress combines breathable memory foam with a support layer to create a comfortable sleep experience. The memory foam mattress includes a knit cover that is soft and silky to the touch. 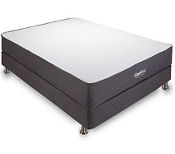 The 12-Inch Cool Gel Memory Foam Mattress combines two leading sleep technologies to provide a cloud like luxury feel. Gel-infused memory foam absorbs and displaces the heat derived from your body, keeping you comfortable throughout the night. 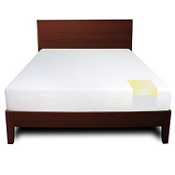 The 6-Inch Cool Gel Memory Foam Mattress combines two leading sleep technologies to provide a cloud like luxury feel. Gel-infused memory foam absorbs and displaces the heat derived from your body, keeping you comfortable throughout the night. The 8-Inch Classic Brands Memory Foam Mattress combines breathable memory foam with a support layer to create a comfortable sleep experience. 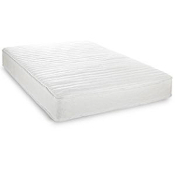 The memory foam mattress includes a knit cover that is soft and silky to the touch. 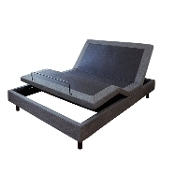 The Adjustable Comfort Adjustable Bed Base includes a wireless remote with preset positions that automatically adjust to meet your comfort needs. This bed base is most suitable for watching TV, reading, or working on your computer. The Advantage Innerspring Mattress provides ultimate support with individually wrapped steel coil innersprings that contour precisely to your bodyand move independently, reducing the sensation of movement on a bed providing an undisturbed sleep. The 10.5-Inch Cool Gel Memory Foam Mattress combines two leading sleep technologies to provide a cloud like luxury feel. Gel-infused memory foam absorbs and displaces the heat derived from your body, keeping you comfortable throughout the night. The 8-Inch Cool Gel Memory Foam Mattress combines two leading sleep technologies to provide a cloud like luxury feel. Gel-infused memory foam absorbs and displaces the heat derived from your body, keeping you comfortable throughout the night. 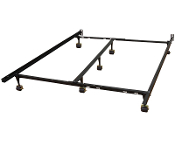 The Hercules Universal Metal Bed Frame includes a heavy duty steel frame, 7 sturdy locking wheels, and headboard brackets that are easily assembled together to create a bed foundation that will adjust to fit any standard size bed (75"x70"x7"). 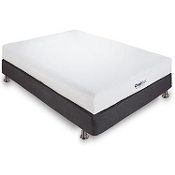 The Decker Hybrid Mattress combines individually wrapped coil innersprings with memory foam to create superior pressure relief and a cooler sleeping surface. This innerspring and memory foam mattress includes a quilted knit cover with a corded edge and coordinating knit sides for breathability. The Mercer Hybrid Mattress combines individually wrapped coil innersprings with gel memory foam to create superior pressure relief and a cooling sensation that can dramatically diminish nightly tossing and turning. 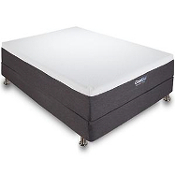 The Gramercy Hybrid Memory Foam Mattress combines individually wrapped coil innersprings with gel memory foam to create a cooler sleeping surface and pressure relieving support.